Belated trip report. Zelda, spider-man, mustachioed Frenchmen. It’s been almost a week since our trip, but I thought maybe I should post about it since I’d been worried how it would go. It went really, really well. It wasn’t my favorite trip, but it felt the easiest. 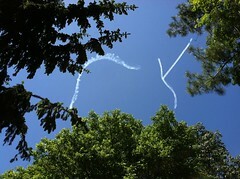 My favorite trip was the time we were in the Central Park Zoo and looked up to see a plane spelling out a marriage proposal. I don’t know what made that trip my favorite, but I’ll add it was that same white-knuckle trip from one year ago that felt so hard because I missed drinking. So you see, not-drinking doesn’t ruin anything. I missed drinking one time this trip. We were waiting for a dinner table in an overly crowded restaurant in Times Square and the kids were fighting over the one free stool and my husband came over with a frosty pint of beer and it made me pretty sad to think “well I fucked that one up real good.” But that makes it sound like I screwed up once, and the reality is drinking and I had more than two decades of dysfunction. The craving for beer passed, just like it always does. Copious amounts of good BBQ and diet coke helped. Afterwards my youngest and I walked back to the hotel and laid in bed and stared at moving pictures on the TV while my husband and oldest watched some guy dressed as Spider-Man hang and spin from a street lamp before the cops could shoo him away. I know that sounds like more fun, but I’ve learned to listen when my fun-meter is all full-up. We walked around what was left of Battery Park and noticed a turkey in one of the gated-up playgrounds. You see a lot of things in New York City, but not usually turkeys. Everything gets easier with practice in sobriety. Easier isn’t always the same thing as more fun, but what I love most about life is how unpredictably fun happens. I can do certain things to make fun more likely, like not eating at the busiest place and time possible with two exhausted kids and their cranky parents. Yes, I will do that next time. Hope your weekend is filled with ease and fun. Anyway – this week just scrolling down my facebook status feed and there was a picture posted by a friend on holiday of two glasses of Guinness on a bar. That was my drink of choice for many years of my drinking. And there bang was a desire for that taste again but just as quickly these days the voice saying “… and then what?” Yes and then what? Lost jobs, broken marriage, kids disowning me, my life ruined etc. Interesting indeed. In active addiction, that urge does feel almost unstoppable. Only with time and I guess a miracle do we not follow it anymore. Truthfully I don’t mind the obsession. It reminds me of where I came from. I see these passing pangs as a bittersweet reminder of the sweetness but mostly the pain I caused myself. Don’t have to do that anymore, thank you very much. My favorite part of sobriety is how much easier things have gotten. Yes, there are times I am emotionally upset and I crave a drink, but that just passes. Like you said, it’s a good reminder. SO much easier. So much more time for other things. 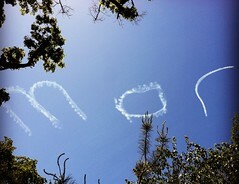 Glad your vacation was nice….I would have loved to have seen a proposal like that! It never occurred to me before that this generic marriage proposal might have made things uncomfortable for random dudes with girlfriends in the city. just had the vision too! Every girlfriend looking at her boyfriend, hopes high that he’s on a knee…oh my! That makes me laugh! If and when the wanting of a drink flashes, it’s something that I can easily swat away. Like you said, everything gets easier with practice in sobriety. The first couple times I had those feelings / thoughts, I panicked. Now, it’s something that I can deal with. And the further away from the drink I am, the easier it gets. But I have to be vigilant, as those thoughts never go away. They may be distant, but they still come randomly. As for fun, I find the less I plan for it, the more it shows itself. I can certainly make the conditions ready for it, but it’s part of that spontaneity you mention. I never was spontaneous in my drinking day. Great post – thanks for the trip deets! So first, I must know, was the crowded Times Square restaurant Virgil’s? My mouth is watering right now just thinking of their menu! Back to the substance of the post, I think you really just described the miracle that is recovery. I mean, in active addiction, that thought would not have registered, primarily because there wouldn’t have been time… I’d have already been drinking. And if, for some reason, I couldn’t drink, I would have been miserable, would have made everyone around me miserable, and been in my head planning when I could get out of the given situation and into one where I could drink. So, for me, when I have that passing thought, and I can move on from it and continue to enjoy my evening, that constitutes as a miracle! Side note: I have a deathly fear of turkeys. They are always wandering my neighborhood, and I generally go nuts when I see them. My husband and kids delight in pointing them out. So I wish I had a picture of my face as I scrolled down to that picture! When we lived in the poconos, herds of wild turkeys would pass through daily. They seemed deathly afraid of us, which I’m sure does little to make you feel better but it just struck me. And yes, it was Virgils! Great food, would definitely do it again some time…just not for awhile lol. Just to chime in and say i’m totally with you on that “Good night’s sleep” thing. Going to bed early is like this magical cure-all. Glad you enjoyed your trip! 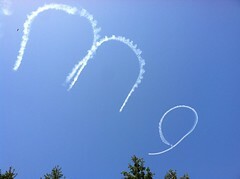 PS loved the ‘Marry M”e”‘! Glad you had a great trip! Love the ‘marry me’! 🙂 Yay for only ‘once’ missing drinking! Good for you!